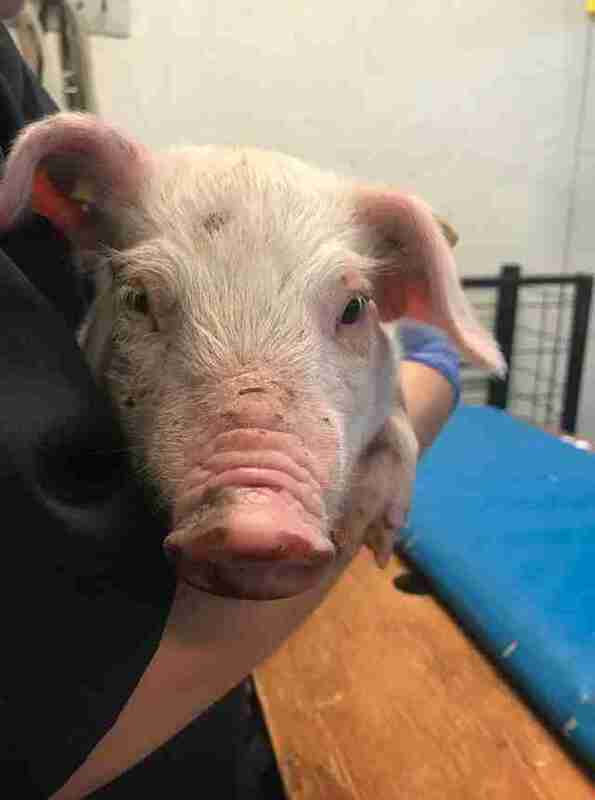 Last Thursday, a 3-week-old piglet named Marge fell from a transport truck onto a road in Iowa — and her life was never the same. Marge was being transported to a feeding facility, where she’d spend the next six months being fattened up before going to slaughter. But on the way to the feeding facility, Marge either fell out of the truck or found a way to jump off. 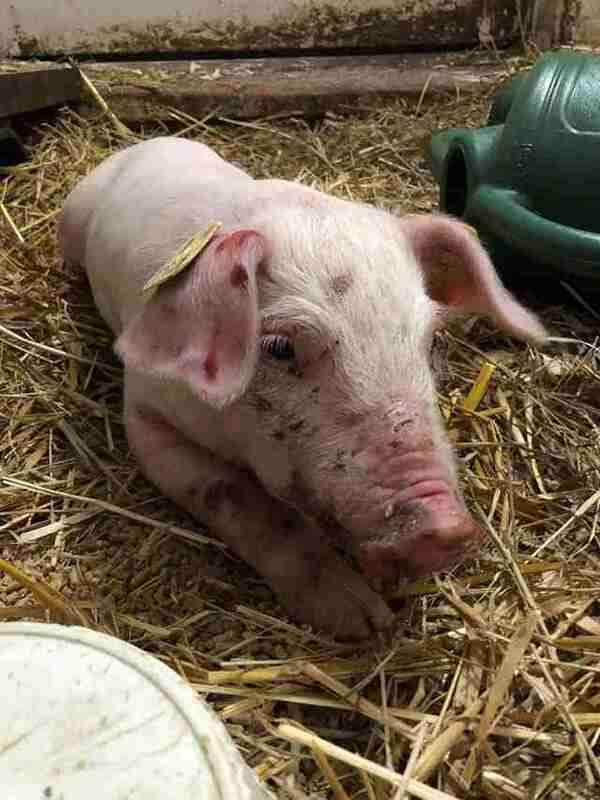 Shortly after Marge’s tumble, animal control officers found her and took her into their care. 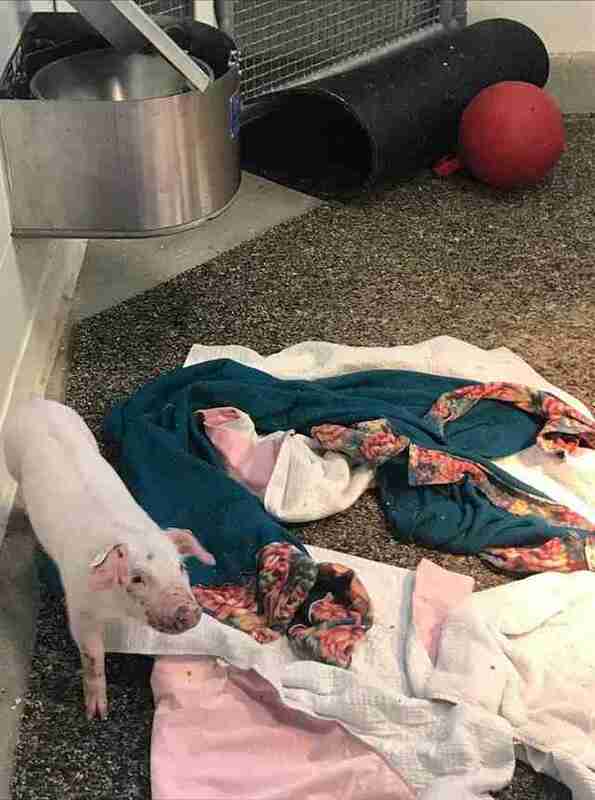 The little piglet, who only weighed about 8 pounds, had hit the ground hard — her jaw was fractured and her body was bruised. 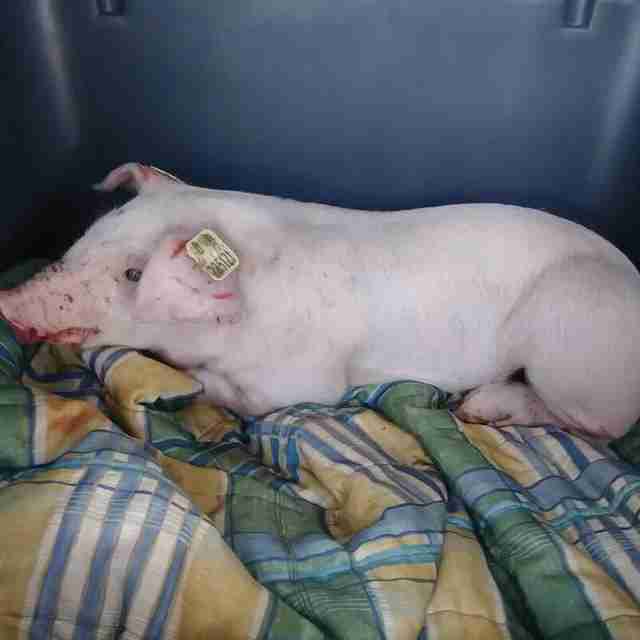 That same day, a local rescue group found out about Marge, and they reached out to Shawn Camp, cofounder of Iowa Farm Sanctuary, to ask if she could take Marge into her care. But unfortunately, the sanctuary didn’t have any room for Marge at the time. Marge’s time was quickly running out — animal control was planning to euthanize her that day. Camp immediately agreed to take Marge, but since Camp and her husband had to take another animal to the vet, they asked the rescue group to deliver Marge directly to their house. They also left Marge a fluffy stuffed pig, hoping it would bring her a little comfort. And sure enough, it did. 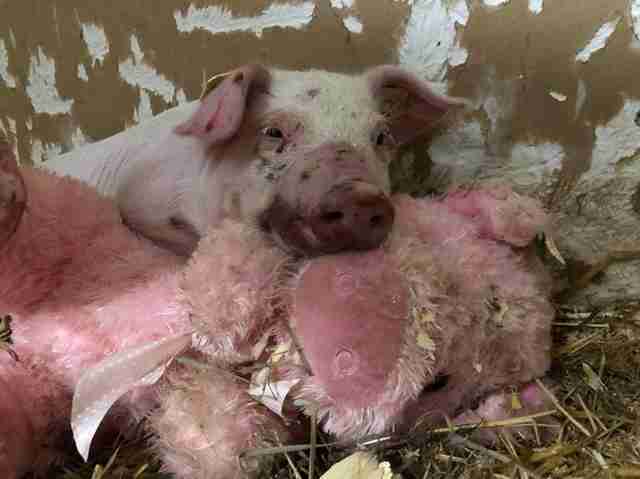 When Camp and her husband returned to their home, they found Marge snuggled up to the stuffed pig. When Camp approached Marge, the little piglet tried to suckle from her. Camp could also tell that Marge was in a lot of pain from her fall from the truck. 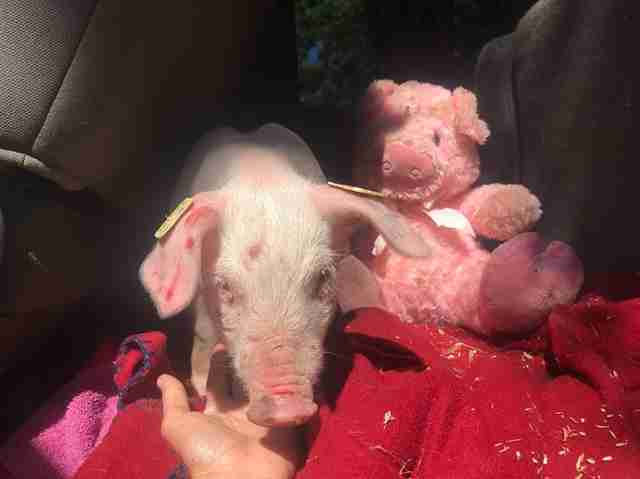 “She was really lethargic, curled up with that little stuffed piglet all night,” Camp said. Camp tried to encourage Marge to eat, but every time she moved Marge to the food bowl, Marge eventually went back to her stuffed animal. 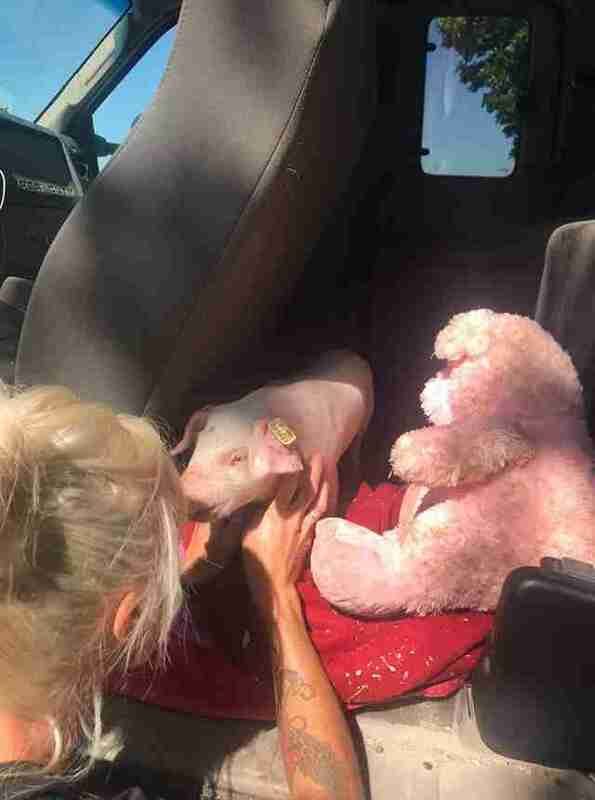 “She’d get up and move herself back over to the little piglet, where she found comfort,” Camp said. The next day, Camp drove Marge to the vet at Iowa State University, where she’s currently staying. While Marge is in excellent hands, she is desperate for affection — and she goes to incredible lengths to get it at the hospital. Once Marge is fully recovered, she’ll be moved to Spring Farm Sanctuary, which will be her forever home — and Camp couldn’t be happier that Marge found her happy ending. 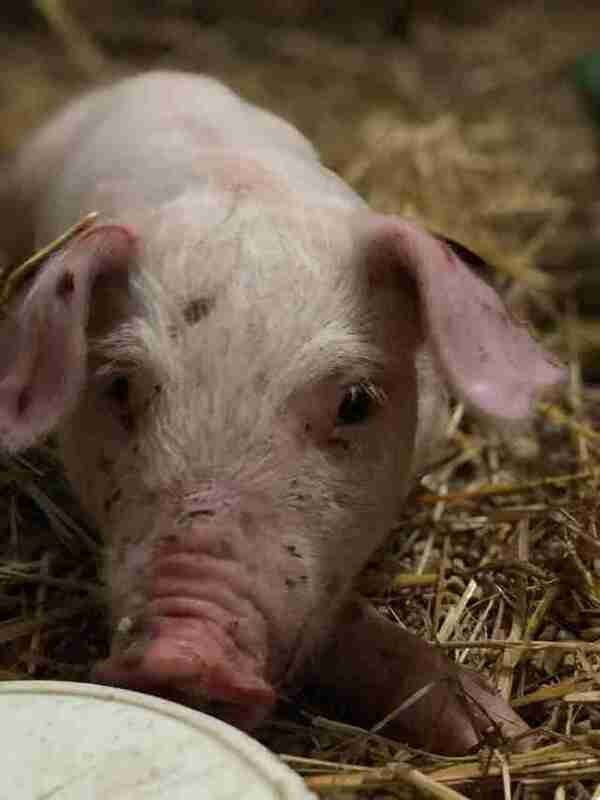 To help Marge make a full recovery, you can make a donation to Iowa Farm Sanctuary and Spring Farm Sanctuary.